This page is for more technical aspects of light pollution (both engineering and programmatic), and the available solutions that can be used to reduce it. It will serve as a catch-all page for more brief articles in other publications (Observer's Handbook and JRASC, where the length of articles can be very restrictive. A number of very brief articles on various aspects of lighting have been posted at www.csbg.ca/BLOG.HTM. We provide the link to that page here to save the trouble of copying them to this page. We also hope to list links to research that are in the public domain and that summarize research from technical and medical journals. We will try to provide a brief description, or a "critical bibiography" so you may judge whether you want to go to the trouble of getting the file. At the bottom of this page are a few information sheets on specific topics based on the dialogue exchanged on LPA email discussion list. We hope they will be useful. The choice between a Lighting Bylaw and a Lighting Policy is in part governed by the nature of the municipality. A set of sample Canadian Bylaws are posted on this site (www.rasc.ca/content/municipal-bylaws). A Lighting Policy for roads is available from ottawa.ca/en/node/268087/lighting/index.html. A city may choose to manage growth with a long-term plan that has been vetted during meetings with community groups and other stakeholders, which can then be articulated in a policy. A Bylaw is a legal document that attempts to minimize disagreements between citizens, and it can govern the implementation of a civic policies. It forces citizens to conform to a social norm. It codifies standard practice and therefore does not include new ideas or reflect recent concerns. Light pollution is a relatively new concept so that, although noise and accumulated garbage is addressed in Bylaws (such as in a section on civic nuisance), glare and light trespass are not mentioned. The lack of historical concern for light pollution extends to the provincial level. The Provincial Municipality Act must explicitly state that a city has the authority to control and enforce lighting provisions in their Bylaws. Some Provinces have this provision. For example in the Ontario Municipality Act, lighting is referenced directly under Health, Safety and Nuisance in para. 129, and loosely under Natural Environment in para. 147. Other provinces may have similar provisions. Bylaws are enforced when there is a problem, so it is a reactionary document. It is better to avoid problems than to confront them. We would like to see all future lighting, and changes to lighting to minimize light pollution. This is done through a Lighting Policy. Policies are political documents and as such reflect the concerns of all those consulted in their development – to some degree. Usually there is wide range of ideas presented at community meetings and the difficult task is to find as much common ground as practical that conforms to the existing Bylaws. Fortunately there do exist many Lighting Bylaws and Lighting Policies from which municipal governments may choose and adapt to their local circumstances. We believe that a Lighting Policy is the best first step. Without a long-term plan, there is no reason to change a Bylaw. During the development of a Policy, the public and municipal staff can propose changes to existing Bylaws. These changes are more likely to be passed if they fit a long-term plan. With a Lighting Policy a city can illuminate its streets to much lower levels than is generally used. The resulting savings (several million dollars per year) can be rolled into the municipality’s other social programs, and this can be used to help sell the policy to the public. A Policy is a document of compromise and will probably not be as comprehensive a LPA document as some would like. However by being at the table during its development ensures that LPA views will be included to some degree, and this is important. LEDs are totted as being a game changer for the lighting industry. We feel this is true, but like all good things, it will take time. Current products are very expensive, but the prices are falling. A few prominent luminaire manufacturers are still coming to grips with the new technology, and even the expectation of customers are on a learning curve. We are familiar with incandescent light, which uses the heating of a thin wire (filament) by electric current to produce light. A lot of our expectations about lighting are based on our experience with these ubiquitous light bulbs. They are cheep and convenient, but they get very hot (the filament has to be at over 3000K or more to produce much light), only about 15% of the electrical energy is converted t visible light and they don’t last very long (a few thousand hours. They don’t care too much about operating from –50 C +50 C and their high temperature operation make them comfortable as oven lights. High Intensity Discharge (HID) bulbs come in different types: high-pressure sodium (HPS – typically for street lighting), metal halide (MH – for car dealer lots), low-pressure sodium (LPS – for industrial areas and some roads). These also operate at high temperatures and may require a few minutes to heat up on a cold winter evening before they work effectively. HID lamps are much more efficient than incandescent lamps because of the light-emission phenomena. HID bulbs produce light with electric current that excites the internal gases to fluoresce. This is a much more direct route to emitting light than a heated filament. The efficiency of this process is called “efficacy,” which is the amount of light produced (lumens) per watt of electricity. Incandescent bulbs have an efficacy of about 25 lumens/watt, whereas HPS have about 100 lumens/watt. There is a range in efficacies due to the style, design, manufacturing process, and mixture of gases. 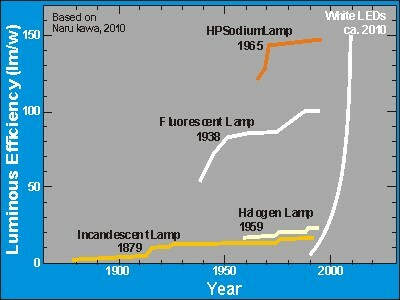 Over the past 50 to 100 years, HID lamps and incandescent bulbs, respectively, have just about reached their peak in efficacy. Fluorescent bulbs have been developed to get much better “colour” for consumer applications. The rarefied gas within the glass ampoule is selected to excite a phosphor that coats the inside surface. This coverts the emission-line spectrum of the gas into coloured bands that combine to give various shades of white, or blue, green, yellow, orange, or red. They use about 25% the electricity of a comparable incandescent bulb, which is why they are promoted as energy-savers. Fluorescent bulbs use to work very badly in cold weather, but they are now sold as street light alternatives. Light Emitting Diodes (LEDs) are very different from incandescent, HID, and CF light sources. Their light is emitted after an applied electric current excites electrons, in a semiconductor, and their energy is released when they recombine with their host atoms. 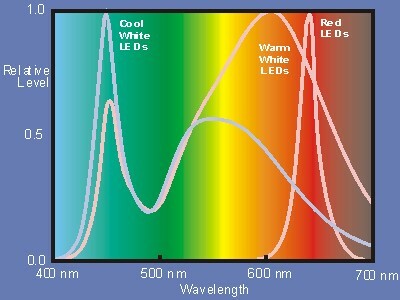 Unlike the emission lines we get from gas emitters, LEDs produce emission bands corresponding to the energy released. LEDs are electronic components and must be treated as such. Semiconductors hate heat. Their longest life is for operation at room temperature (about 25 °C). Significantly lower-temperature operation creates stress between the semiconductor chip and its case, which can lead to premature failure. Higher temperatures create these stresses too, as well as breakdown of the structure in the semiconductor chip. The advertised life times of 100,000 hours for LEDs are based on a chip, or semiconductor “junction”, temperature of 25 °C – a temperature they will never see in normal operation. We can approximate the life of a “real world” LED by using a relatively simple Arrhenius Equation. It includes a few semiconductor parameters and failure-mode characteristics, but the life of an LED decreases from 100,000 hours to only 10,000 hours for every 40 C° above room temperature. This drastic reduction in life should be put into context – it is still much longer than an incandescent bulb, but is approximately the same as a HID bulb. Keeping the temperature of the LED cool is perhaps the greatest challenge for luminaire designers. LEDs can be made to emit different colours. We have used red LEDs for several decades because it does not affect our night vision. The semiconductor chips are designed to emit certain colours. These relatively narrow emission bands are used as indicator lights and illuminators. Since these LEDs emit only a narrow range of colour, they cannot be used to give good colour recognition. The most efficient LEDs for lighting applications are blue. But illuminating a room with blue light will render yellows and reds as black. To increase our perception of colour the room should be illuminated with a full spectrum of light – from blue to red. Although white light is used to mimic daytime illumination it has an additional effect at night - reducing our resistance to infection and disease, and it exacerbates other physical and mental disorders. The light output of LEDs has increased from 10 millilumens for indicator LEDs a few decades ago to over 100 Lumens per LED today, an increase of 10,000X! The amount of light that is emitted by the LED depends on the current through the semi conductor. However, extra light comes with reduced efficacy. As the current increases, so does the voltage across the LED. This higher current AND voltage increases the heat created in the LED. A 40% increase in the current will increase the power dissipation (heat) by 50% but may only increase the illumination level by 6%. Too high a current will create so much heat that the LED will have a short life. Most LED component manufacturers package a number of chips into a single LED emitter component to distribute the current through several chips – reducing the junction temperatures. 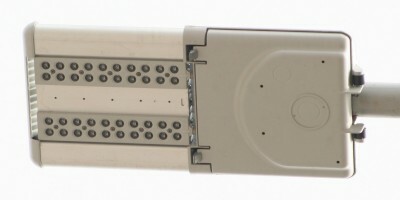 Then the luminaire manufacturer use many LED components in a light fixture, each one being driven by a relatively low current. The temperature difference between the semi conductor junction and its mounting surface is between 6 and 10 C/watt. This heat must be conducted from the surface, out of the light fixture, and into the air. The rate of heat loss from the fixture to the air is the most critical – with a temperature rise of about 30C or more unless more active cooling is used (such as fans). We can see that without getting clever, we will only get 10,000 hours, or less, out of a bright LED lamp. This is the state of most commercial light fixtures. At this time the efficacy of production LED lamps is about 100 lumens/watt – not much better than HPS bulbs. However this technology is still being improved with a maximum potential of about 250 lumens/watt. About to enter the market are 150 lm/w LEDs. With improvements in other light sources levelling off, LEDs may be the future source of artificial light. Incandescent bulbs do not require associated electrical circuitry to make them work, but HID and LEDs require “driver” circuits. The HID driver, or ballast, initiates current flow through the rarefied gas in the bulb with a high voltage spike. It must then maintain a lower current for proper operation. These circuits have evolved to be very reliable. A LED driver must take the supplied electrical power and deliver a constant current to the LED. If the current is allowed to vary, so will the brightness, so the driver may be designed to allow the brightness of the LED to be adjusted to reduce excessive illuminations. The design of the LED current drivers has not matured as much as ballasts for HID lamps. They are expensive and the immature designs still have to prove their reliability. Over time they will get better and cheaper. At this time (2012) they are a significant cost in the price of the light fixture. Where incandescent and HID bulbs emit light in all directions, LEDs emit light only forward. By pointing the LED light fixture downward, no light shines directly up into the sky. But his also limits the distribution of light on the ground. Light fixture manufacturers have the problem of producing uniform illumination. The current technique is to use lenses over all the LEDs to direct the light into the desired pattern. Current luminaire manufacturers seem to rely on the directionality of LEDs to limit glare and light trespass. Few fixtures have shielding designed into the fixture. Consequently, the bright LED emitters are visible to motorists and pedestrians. Although relatively little light is emitted horizontally, the intensity of the light can create a blind spot on our retina. At close range, they can cause eye damage. The daytime sky is dominated by the Sun, which for the most part is white (Figure 1,). But as the Sun sets, the disk (the Sun’s photosphere) disappears and the major yellow component of the light is reduced. 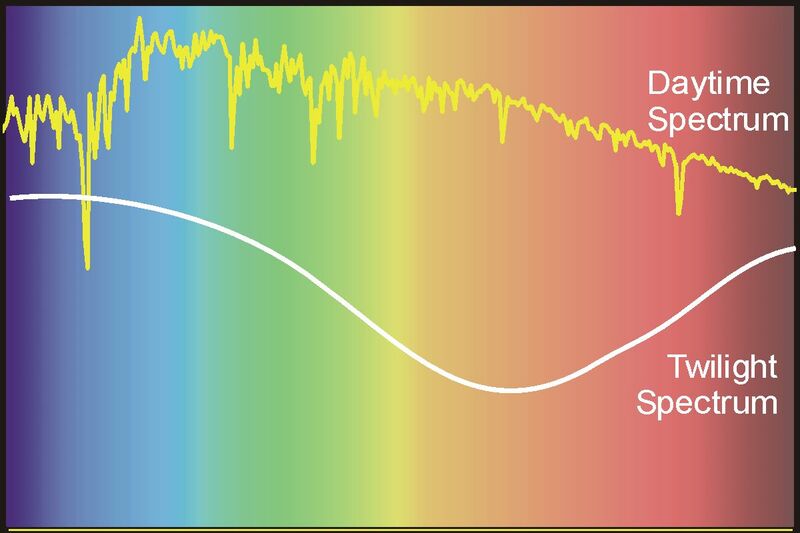 This large variation in the Sun’s spectrum does not affect our judgement of the colour due to our mind’s ability to correct for these changes. However this change is noted subconsciously and is used by our biology to determine the time of day. Unfortunately, this evening colour change can be masked by the broad spectrum of ALAN. as the Sun’s disk sets below the horizon. Plants take advantage of different parts of the spectrum, and insects (mosquitoes) use it to help find their targets (Figure 2, , ). This attraction for mosquitoes results in greater exposure to disease. 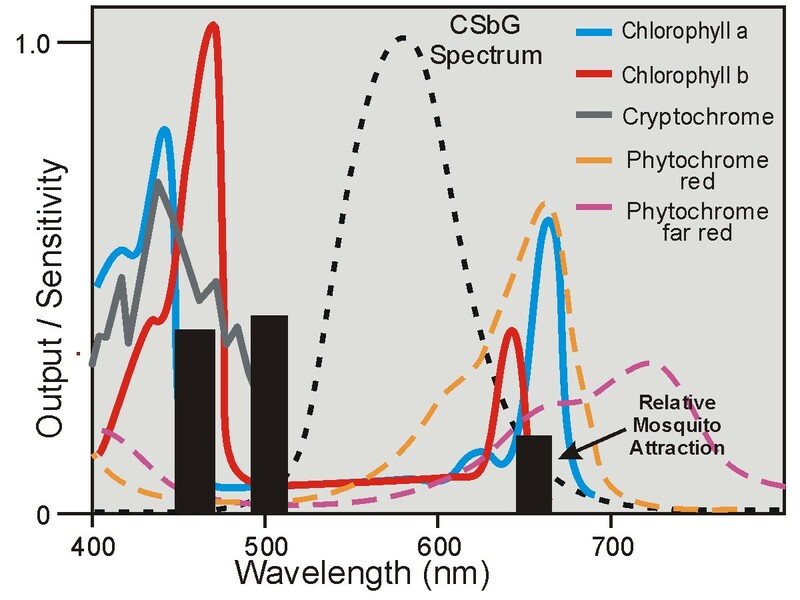 Figure 2 – The absorption spectrum for three major plant molecules show their preference for blue and red light. Of these cryptochome helps mediate the plant’s response to light. So plants are primarily sensitive to the blue spectrum of ALAN. Mosquitoes, major disease vectors, are also attracted by blue light, and to a lesser extent red light. 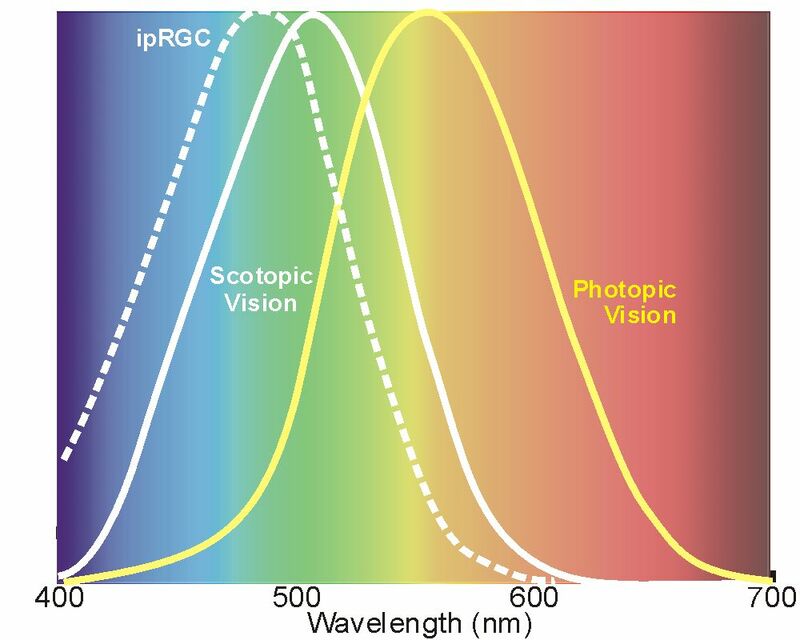 Figure 3 – The spectral sensitivity of the two visual detector cells in our retina: rod cells for our night scotopic vision, and cone cells for our daytime photopic vision. The intrinsically photosensitive Retinal Ganglion Cells (ipRGCs) are used to “detect” nighttime when the blue light of twilight falls below their detection threshold. 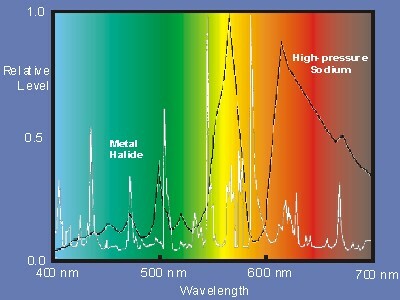 The spectral sensitivity of the rod cells is centred on 508 nm. By limiting the emitted spectrum of ALAN to the longer wavelengths, we can preserve our night vision, while maximizing the exposure to our photopic cone cells. The transition in colour during twilight from white to blue-plus-red, and then to blue, is detected by non-visual intrinsically photosensitive Retinal Ganglion Cells (ipRGC). ( A mouth full, so I have coined the terms "Twilight Cells", or Twilight Detectors".) Our ability to detect this light is a survival advantage because it keeps us alert for an extended period of safety while we begin to settle down to sleep, but it also has a biochemical function. 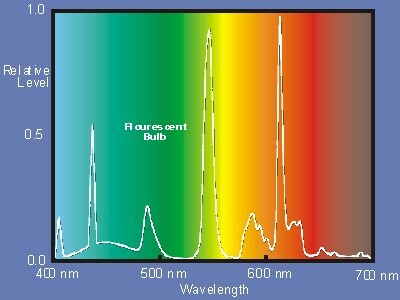 The twilight cells are most sensitive to the spectrum of light centred about the wavelength of 480 nm. Although there is a range in the light threshold for individual cells in the literature (1 to 10 lux), but together their network has a threshold sensitivity of very approximately as low as 0.1-lux, and their biochemistry and neuron logic suggest an even lower sensitivity - at the single photon level. As the illumination from the sky decreases, these cells are not able to confirm it is still twilight. In response, the hormone melatonin is released to reduce our metabolism and put us to sleep. This detection of nightfall also enables the release of other hormones that repair damaged tissue and fight infection. These are created in late afternoon in preparation for their release, but they begin to break down several hours later and are re-absorbed. Therefore their production must be well timed with our rest period. If the release of these hormones is delayed, due to the extended period of ALAN, then the benefits of our rest and resulting health are compromised. It is important that ALAN not contain short wavelength light (less than 500 nm) that will be detected by our twilight cells and alter the timing of biochemical processes during the night. These are good reasons to avoid white light at night regardless of its aesthetic value. Kathleen West, et.al. (2011) Blue Light from Light-Emitting Diodes Elicits a Dose-Dependent Suppression of Melatonin in Humans, Journal of Applied Physiology 110: pp. 619–626, Figure 4.